How Do I Check My Pool Heater? It’s not uncommon for pool heaters to experience issues over time. Because a lot of pool owners will be getting their pool heaters up and running over the next few weeks, we’ve put together a few ideas on how to check a pool heater and troubleshoot some of the most common problems you may experience. Before starting your heater, it’s important to inspect it to ensure that nothing is broken or damaged. If the heater has rusted or corroded, it can be a serious fire hazard and should be replaced. Inspect the wiring, as well, as pesky rodents may have tried to nibble and gnaw on them over the past several months while it hasn’t been in use. If there is debris like twigs, branches, leaves and pine needles on the top and sides of the heater, make sure that these are removed to ensure sufficient air flow and to reduce the risk of a fire. The valves to your heat pump should be completely open and it’s always a good idea to check the filter and make sure it’s nice and clean. The first place to check is your filter. If the filter is dirty, it can be reducing the air pressure, which will force the pressure switch to shut your heater off. Clean your filter, turn up the thermostat and give it another try. The next place to check is the shut-off valve, if you have a gas heater. Make sure that it’s open and supplying fuel. If you have an electric heater, check the electrical connections and make sure that they are tight and not corroded or damaged. Another common culprit behind malfunctioning electric heaters is the transformer. Using a voltmeter, see how many volts are being supplied. Ideally, you should receive a reading between 20 to 28 volts. If the reading is lower than that, then there is either an issue with the voltage supply or the transformer itself. Much like the problem above, a dirty filter can stop your heater from firing up. Clean the filter, turn the temperature switch on, and reset the timer. Make sure the systems valves are turned towards the heater. It’s also possible that the heater you have is too small for your pool. Consult your pool heater’s user manual to see if the heater is an appropriate size. If your heater is whining, banging or grinding, start your search by checking its hoses and filters. Debris may have found its way in there over time which is causing those unwelcome sounds. Remove any blockages and backwash the filter. 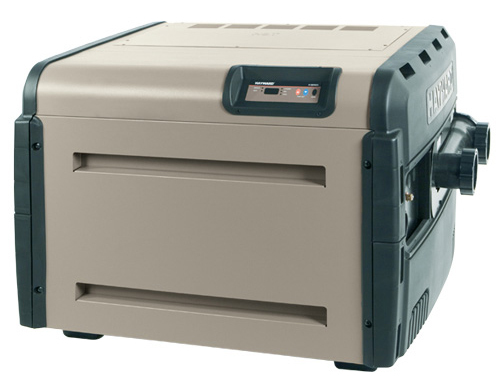 A noisy heater may also be the result if it running after the pump shuts off. This is probably due to a faulty pressure switch which you’ll need to replace. Houston pool company Elite Pools and Spas may be best known for our quality craftsmanship and awesome pool designs, but we also have a team of reliable pool maintenance experts who will gladly take care your pool cleaning and servicing needs.